Obal: soft, Stav: Nová, winner of the prestigious Hugo and Nebula awards, and widely considered one of the greatest science fiction novels ever written. Melange, or 'spice', is the most valuable - and rarest - element in the universe; a drug that does everything fr_om increasing a person's life - span to making intersteller travel possible. And it can only be found on a single planet: the inhospitable desert world Arrakis. Whoever controls Arrakis controls the spice. And whoever controls the spice controls the universe. When the Emperor transfers stewardship of Arrakis fr_om the noble House Harkonnen to House Atreides, the Harkonnens fight back, murdering Duke Leto Atreides. Paul, his son, and Lady Jessica, his concubine, flee into the desert. 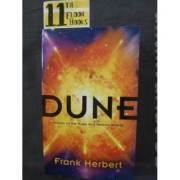 On the point of death, they are rescued by a band for Fremen, the native people of Arrakis, who control Arrakis' second great resource: the giant worms that burrow beneath the burning desert sands. In order to avenge his father and retake Arrakis fr_om the Harkonnens, Paul must earn the trust of the Fremen and lead a tiny army against the innumerable forces aligned against them. And his journey will change the universe. 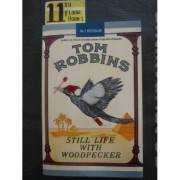 Obal: soft, Stav: Nová, Still Life with Woodpecker is a sort of a love story that takes place inside a pack of Camel cigarettes. It reveals the purpose of the moon, explains the difference between criminals and outlaws, examines the conflict between social activism and romantic individualism, and paints a portrait of contemporary society that includes powerful Arabs, exiled royalty, and pregnant cheerleaders. It also deals with the problem of redheads. Autor: Austin Oliver L. a kol. Autor: Bessel Richard a kol.